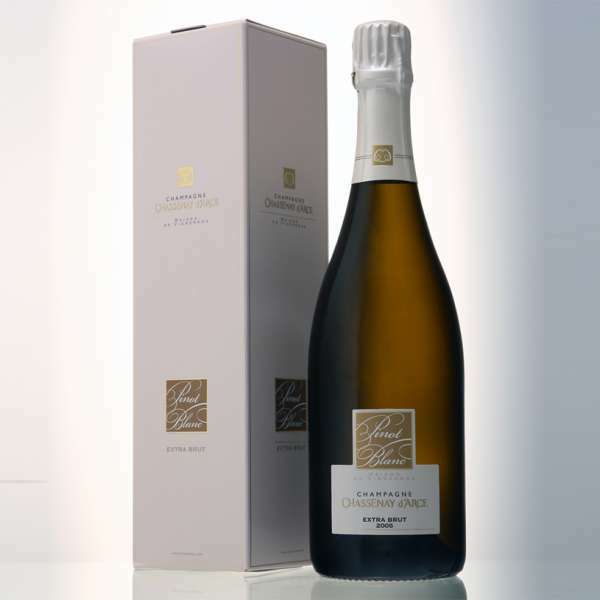 Chassenay d'Arce Pinot Blanc Extra Brut 2006 Vintage Gift Boxed The wine makers at Chassenay d'Arce have conserved a rare legacy - a few plots of the ancient Pinot Blanc grape variety. This Champagne is produced exclusively from Pinot Blanc and this produces an unusual and remarkable Champagne. The bouquet is fresh, elegant, complex and expressive. The wine is well-balanced and full bodied and certainly stands out from the crowd. This Champagne is beautifully presented in a unique gift box.